Check out our first game, Super Bride and Groom, a classic-style 2d platformer game featuring the eponymous heroes Bride and Groom. Players take the roles of both characters as they try to collect the pieces of their wedding, which have been scattered across the world by the mysterious Mister X. Can you help them save their wedding and get married? 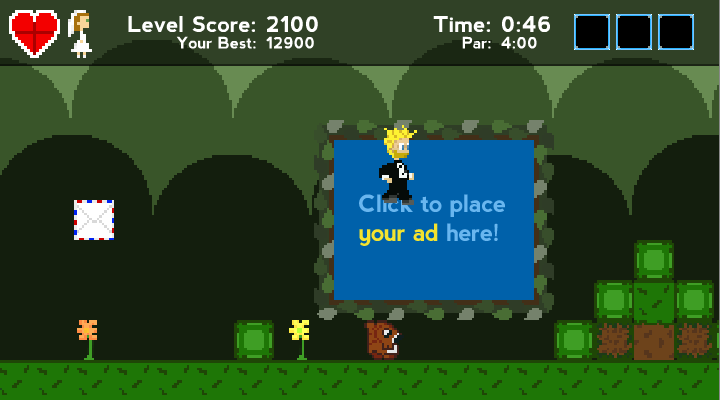 Super Bride and Groom is free to play in your web browser.